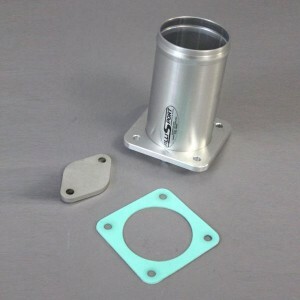 AlliSport TD5 EGR Removal Kit suitable for Defender and Discovery Late Models (2001 to 2006) Lifetime Warranty. Revised August 2015 to include 5mm stainless steel blanking plate. The AlliSport design of EGR valve bypass does not interfere with the engine ECU systems, and will not cause any warning lights to occur. Original manufacturers replacement EGR valves are expensive and likely to fail again.